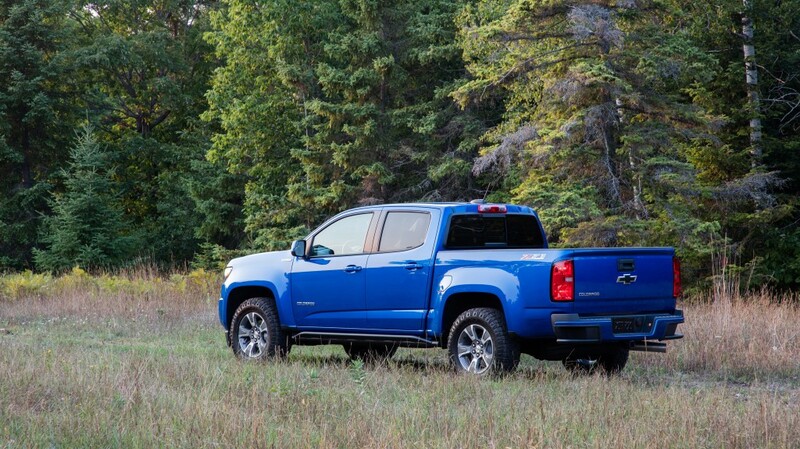 The 2019 Z71 Trail Runner begins with the Colorado Z71 off-road package and adds the underbody protection of the Colorado ZR2. Changes include stamped aluminum front and mid skid plates, functional rocker protection and Goodyear Duratrac tires. To celebrate, Chevrolet is expanding the Colorado range with two new special editions, the off-road Z71 Trail Runner and street-focused RST that offer options to match customer interests on the trails and on the street. "Colorado helped reinvigorate the mid-truck segment, which has grown 130 percent from 2014 to 2017," said Doug Kenzie, national marketing manager for Chevrolet Trucks in Canada. "It delivers style and capability which is introducing new customers to Chevrolet and has proven the success of our three truck strategy." "In only three short years, Colorado drove GM to earn number one market share in the mid-truck segment in 2017 and has further solidified this lead through October of 2018." Colorado's success has been fueled by one of the broadest lineups in the midsize segment – including three powertrains, three configurations and a wide range of models and special editions – with a steady cadence of innovation. Upon its introduction as a 2015 model, Colorado brought a new standard to the segment with three powertrain options, an estimated 8.8 L/100km highway fuel efficiency and 3,175 kilograms (7,000 pounds) of towing capability, and it introduced features such as the built-in Wi-Fi Hotspot with available 4G LTE data. 2015: First available diesel engine offered in the segment (excluding other GM brands). Four years after it was introduced, no other competitor offers a diesel engine*, with class-leading 7.7 highway fuel efficiency and class-leading towing capacity of 7,700 pounds. 2017: ZR2 model with wider track, lifted suspension from the factory, revolutionary Canadian-engineered Multimatic DSSV dampers and class-exclusive standard front and rear electronic locking differentials. The street-focused 2019 RST is based on the LT trim and adds monochromatic exterior offset with black beltline and body side moldings. It also adds a black tailgate bowtie, Colorado and RST badges. The RST is also the first Colorado to offer 20-inch wheels – finished in low-gloss black. Both new special editions feature the flow-through "CHEVROLET" lettered grille first introduced on the Colorado ZR2 Bison. The grille is also available as an accessory for an MSRP of $395, not including installation or tax. The Colorado RST builds on the successful street-focused RST models offered on Tahoe, Suburban and the all-new Silverado. For Colorado, the RST is based on the LT trim and adds monochromatic exterior offset with black beltline and body side mouldings. It also adds a black tailgate bowtie, Colorado and RST badges. The RST is also the first Colorado to offer 20-inch wheels, finished in low-gloss black. Colorado Z71: Z71 Off-Road Suspension, automatic-locking rear differential and unique 17-inch painted wheels and all-terrain tires.